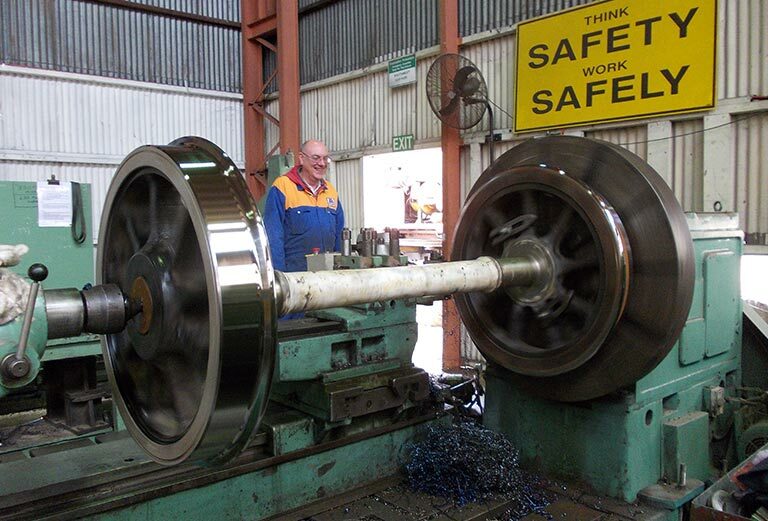 Steamranger - Heavymech Pty Ltd.
Wheelset assessment and machining to client’s specifications. 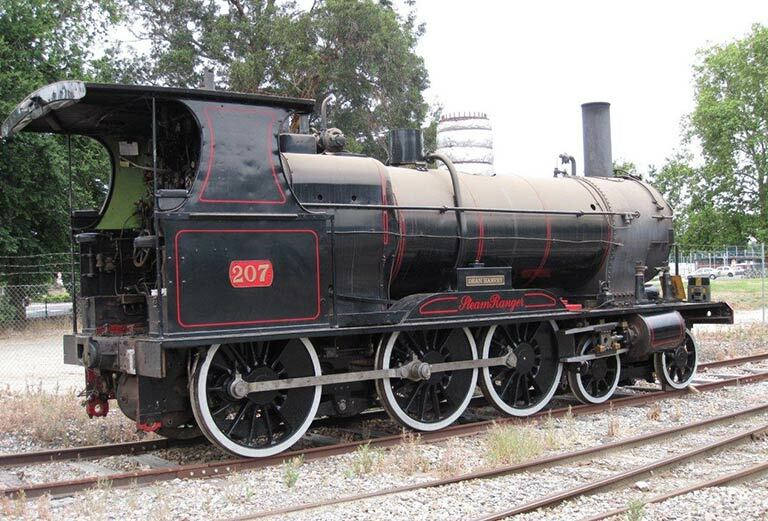 Heavymech was involved in the refurbishment of locomotive wheelsets for the Steamranger Rx224 locomotive. 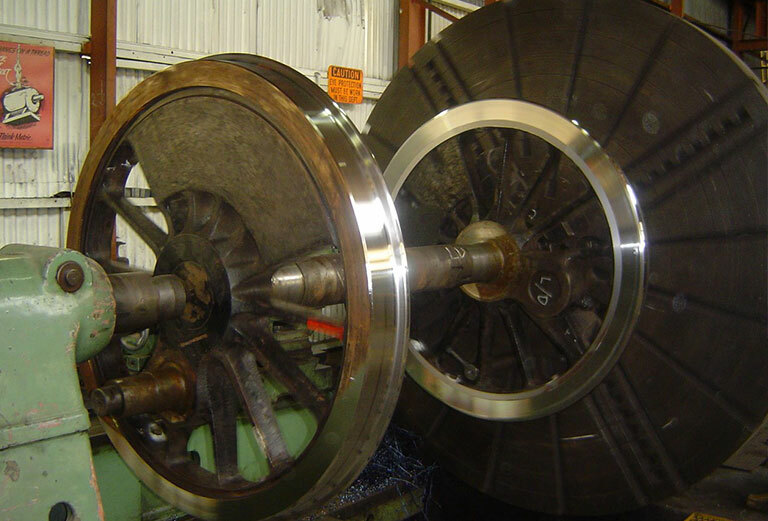 The work involved a full inspection of the wheelset including ultrasonic testing of the axles, machining of the bearing journals, replacement of the crank pins, and machining of the outside diameter of the wheels to restore the correct profile. Heavymech has maintained an excellent relationship with Steamranger. We recognise the importance of the valuable contribution made by the volunteers at Steamranger and we are pleased to support this worthy cause. The SteamRanger Heritage Railway has used Heavymech on a number of occasions to undertake various tasks on heavy and large locomotive and carriage components. 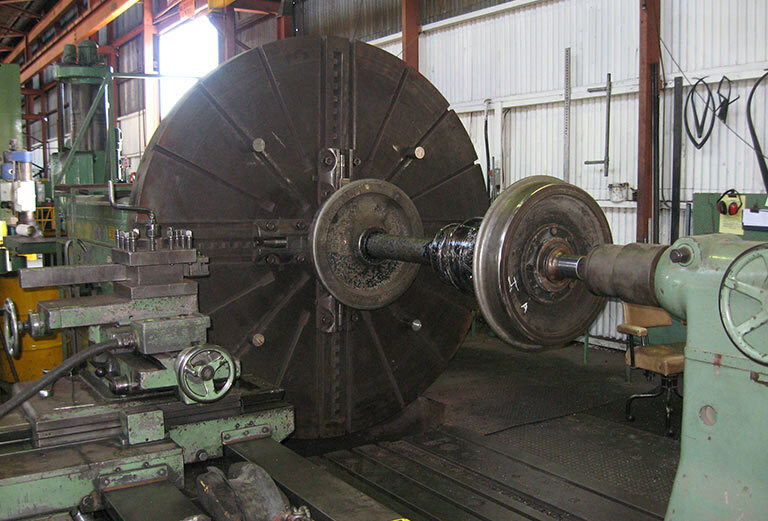 Examples include; fitting of new tyres to locomotive wheels; the inspection and subsequent refurbishment of worn locomotive driving wheel tyres, journals and crank pins; similar work on carriage wheels and axles; machining of bogie frames; and the refurbishment of steam cylinder piston heads, rings and rods. 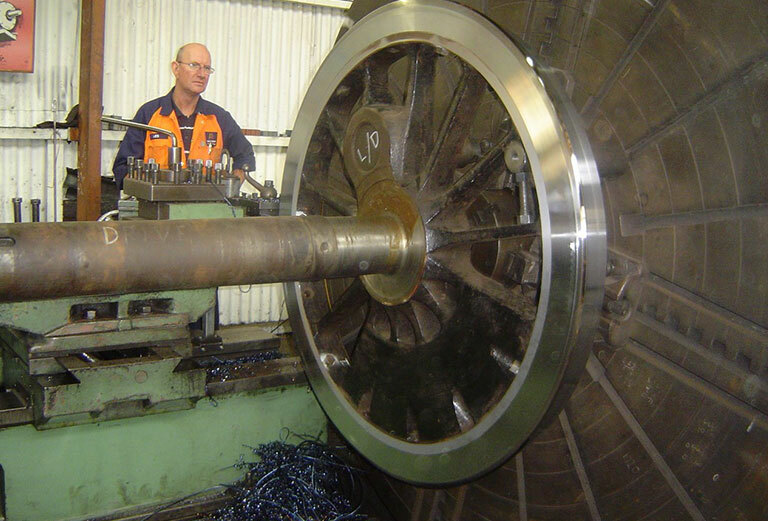 We have always had excellent cooperation from everyone at Heavymech from their Management to their machinists with a genuine willingness to carefully explain their inspection results and refurbishment techniques. The end results have been to our satisfaction at reasonable costs for a not for profit organisation such as ourselves.